Bkool are a turbo trainer specialist based in Madrid, Spain. Here on Turbobiketrainer.com we have reviewed the Bkool Pro, which is a high-end electromagnetic turbo trainer. You can read this review here. 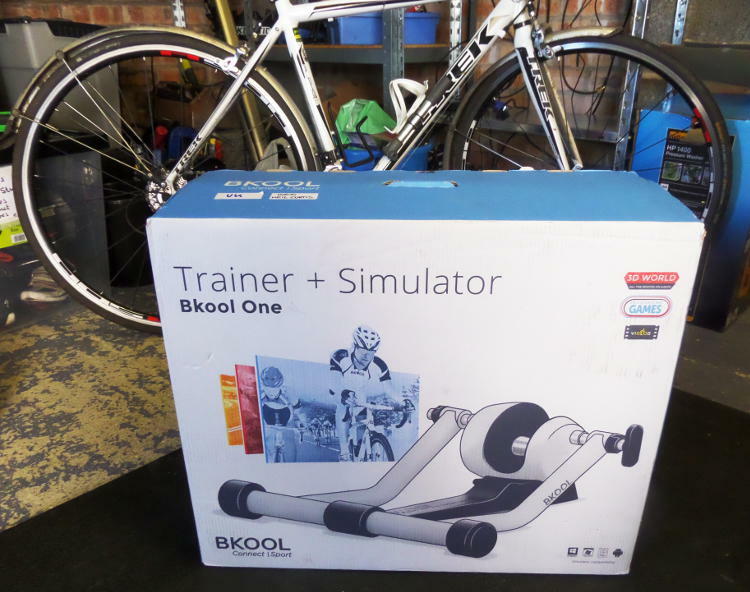 The Bkool One is Bkool’s latest trainer and it is aimed at those looking for a lower priced cycle trainer but still want the option of hooking up with training software – i.e.Bkools in-house simulator software. Straight away you see that this is a stylish indoor trainer. It is white and looks great. The design is pretty compact which we like. 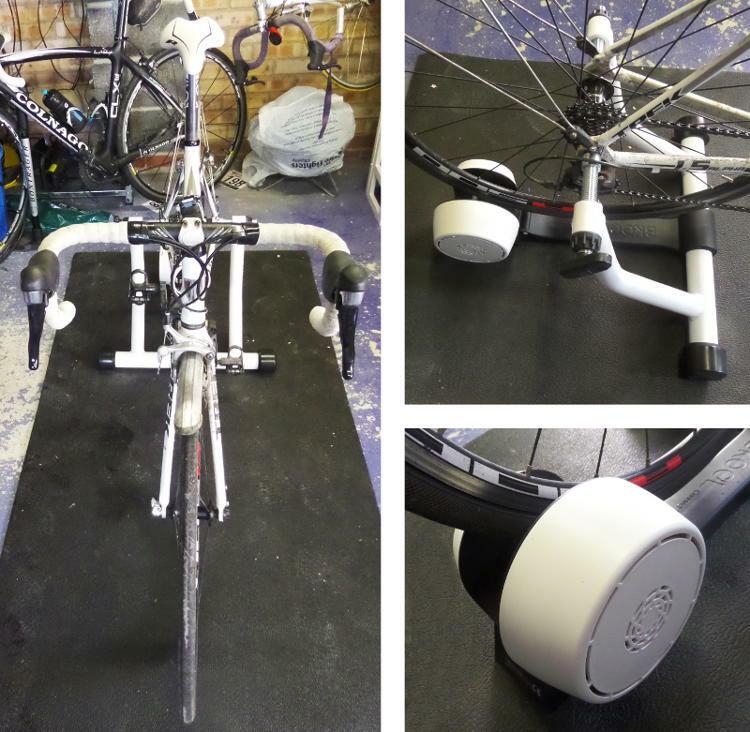 There are no cables to attached because this is a simple standalone turbo that you just put your back tyre on and pedal. The Bkool One comes with a skewer that you replace your normal back wheel skewer with. Once this skewer is in place you attach your back wheel to the trainer using the fixation pins, as shown below. These pins are basically threaded screws with special ends to fix onto the skewer. The idea is to screw the pin on the quick release side into the correct position, which is when the back tyre is pretty much central on the trainer roller. Then screw in the other side that comes with a handle and tighten until the back wheel is securely held in position. There are also two slip nuts to keep things tight. Attaching the wheel to the trainer was a little tricky, especially if you are doing it alone. However it was definitely manageable and once the attachment pins are in position taking the bike in and out of the trainer is easier. The arms onto which the wheel is attached rotates and mean the back wheel is pushed against the trainer roller by the weight of the rider. This helps ensure a solid contact and reduces any slip as you pedal. Also the fact the weight of the rider contributes to the force the back tyre pushes against the turbo trainer makes the ride more realistic, which we discuss later in this article. How does the Bkool One feel? The Bkool One is a a very good trainer. It is smooth and relatively quiet, although there is some noise as there is with all trainers as the tyre contacts with the resistance cylinder/roller and also the spinning of the resistance unit. Setup is very easy, and you will be working out in no time at all once you get your Bkool trainer home. When not in use the arms fold down and the trainer is very compact, which makes for easy storage. The resistance you feel is a combination of three different mechanisms. There is magnetic resistance that generates a linear resistance as you pedal harder. This means resistance increases proportionally and in a linear manner. Combined with this is a refrigeration turbine encased within the unit cover. This has tiny vents that control airflow and add a second air resistance mechanism to the turbo trainer. This air resistance is non-linear and adds an exponentially increasing resistance to the overall resistance curve of the trainer. This is just the same as it is when you cycle outside on the open road. Finally, resistance is also affected by the weight of the rider and whether they are pushing down on to the pedals as they ride, as you would when you get out of the saddle and really push yourself. Standard fixed A-frame trainers don’t factor in the riders weight, meaning this is a distinct advantage of the more mobile Bkool trainer design. 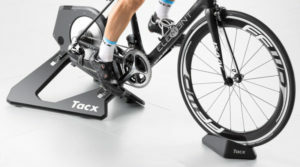 The maximum power output of the trainer is 550W, and if you ramp up through your gears and really push yourself is more than enough to really feel it in your legs. 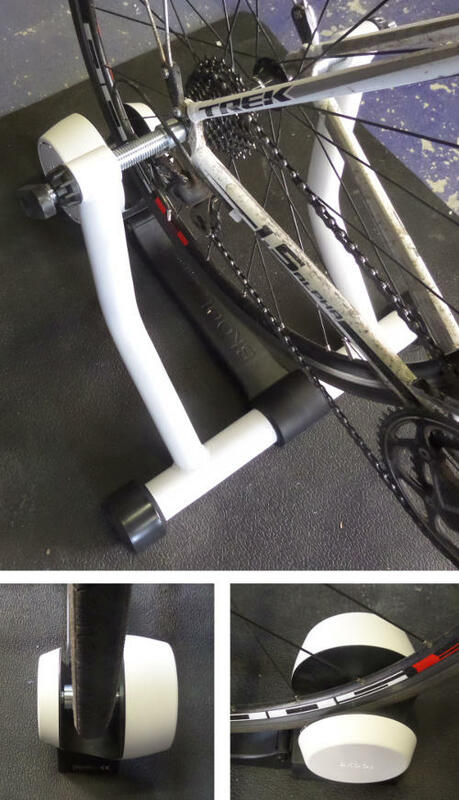 The turbo trainer is more than stable enough when seated and pedaling away. It can however rock a little when you mount your bike, although after a few goes this is something you get used to and is definitely not an issue. The stability support bars are relatively small and means that the trainer does not take up as much room as it would with larger stability bars. If you were to get out of the saddle and really rock the trainer it would feel a little unstable, but during normal use it is perfectly fine. What else can the Bkool One do? 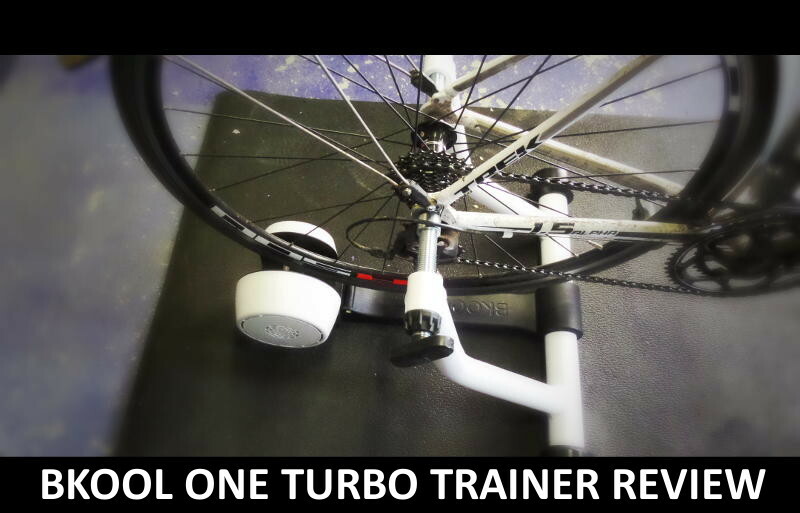 While this is a standalone turbo trainer that makes getting a workout quick and easy it can also connect up to software so that things become more interactive and data driven. You’ll need an ANT+ device (such as the Bkool speed and cadence sensor/transmitter) and you will need a USB ANT+ receiver so that the data can be passed to your computer/tablet/smart device, but once you have these you can collect and display cadence and speed information within the Bkool simulator. The Bkool One costs £164 and if you buy it from Bkool directly here you get 3 months FREE Premium Membership to the simulator software. You will need a ANT+ Bluetooth Smart sensor however to get the most out of it. This can be any ANT+ cadence & speed sensor. The turbo trainer comes with a Skewer so you can easily connect it you your bike, but if you want to take advantage of your 3 months free premium membership and get all the benefits of data collection then you will need to buy a Smart sensor. 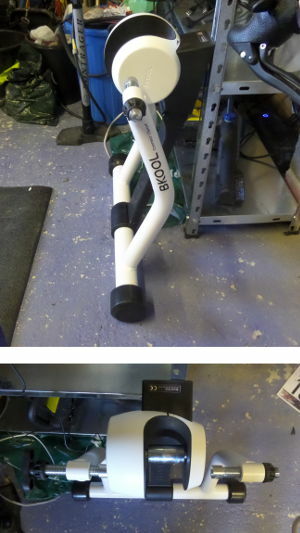 The Bkool One is a great lower priced turbo trainer. There are of course cheaper trainers around and if you are looking for the cheapest around check out this article. However, paying that little bit more gets you a better turbo trainer from a specialist turbo trainer company. The progressive resistance is more realistic than super budget trainers, and the compatibility with the Bkool Simulator software really steps things up a level.